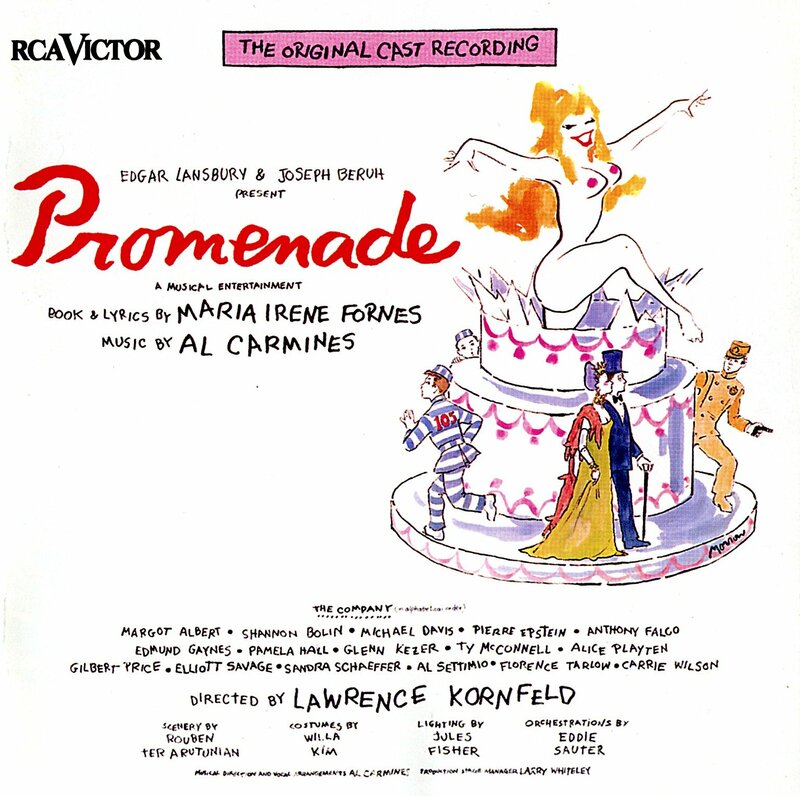 Promenade is the only musical with a score by a “with-it” minister who wrote show tunes, a book by an aspiring painter who never dreamed of being a playwright, and a plot devised by random drawings from a stack of index cards. How many shows can you say that about? With music by the Reverend Al Carmines and a book and lyrics by Maria Irene Fornes, Promenade started life in 1965 as part of the wildly inventive scene at New York’s Judson Memorial Church, on Washington Square. On June 4, 1969, an expanded version of the show opened as the first tenant of the brand-new Promenade Theater, named for the musical. “Capricious as I am, and fickle” is the way one of the show’s characters archly describes herself, and that’s a fair description of the show’s absurdist tone. Fornes’ episodic book follows the outlandish adventures of two escaped prisoners-known only as 105 and 106- who zip among a dizzying range of places and people, while Carmines’ virtuosic score zips from operetta to belted showstoppers to sweet ballads. The convicts wind up at a posh banquet, where the snobbish Mr. R, Mr. S, and Mr. T and the snooty Miss I, Miss O, and Miss U lust after each other and scorn those beneath them. Now and then a crone-like woman drifts in, asking dramatically, “Have you seen my babies? No? Oh, all right.” Then she drifts off. And then everyone winds up dancing on a battlefield, and then we’re in the drawing room of a pompous Mayor, and then…well, you get the picture. 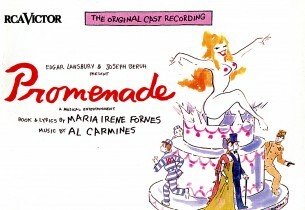 The case on this album is not the opening-night ensemble– veteran actor George S. Irving and newcomer Madeline Kahn departed before the recording was made. Due to technical limitations, the original 1969 LP sped things up to fit more music onto the album. Heard at their original speed on this CD, the singers and the score emerge much more fully.